The Zambian Government has categorically denied reports that it is engaged in talks with Chinese owned enterprises to takeover state assets such as ZESCO. 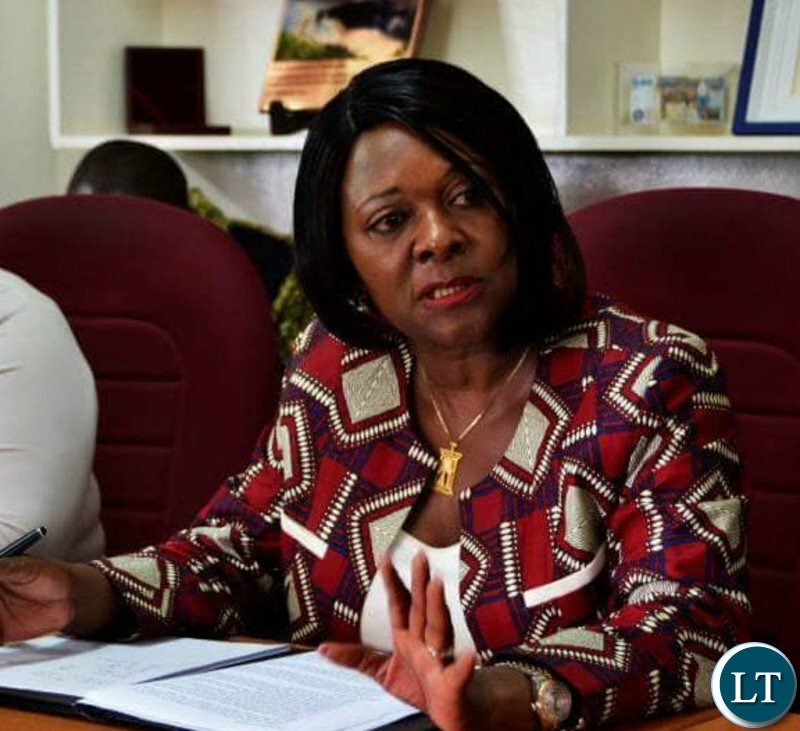 In a statement, Finance Minister Margaret Mwanakatwe stated that the Zambian government has not offered any state owned enterprises to any lender as collateral for any borrowing. Mrs Mwanakatwe further stated that there is no debt default by the Zambian government on its debt obligations to the Chinese government and other Chinese lenders. She also pointed out that in the first half of 2018, a total of US$341.82 million was paid to various creditors as interest payments as opposed to US$489 million which was falsely reported in the Africa Confidential publication. Below is the full statement from the Ministry of Finance. The Zambian Government HAS NOT offered any State Owned Enterprise to any lender as collateral for any borrowing. For purposes of this statement, the Laws of Zambia, CAP 349 Minister of Finance [Incorporation], states that the Minister of Finance shall be a corporation sole by that name, with perpetual succession and an official seal, and with power to acquire and hold in that name lands, government securities, shares in any company, securities for money, and real and personal property of every description, to sue and be sued, to execute deeds, to enter into agreements binding on themselves and their successors in office, and to do all other acts necessary of expedient to be done in respect of the above maters or any of them. 5. For all other loans that have been contracted from the Chinese government, the security on the loans is in form of insurance taken from Sinosure and for state owned enterprises an insurance from Sinosure and guarantee from the government are in place. Therefore, NO COLLATERAL IN THE FORM AS ASSETS has been provided for borrowings and none of the guarantees has been called upon. To insinuate takeover of any asset by the Chinese Government, therefore, IS NOT PRACTICAL AND FEASIBLE. Further, I wish to state that THERE HAS NEVER at any time been discussions of a DEBT/ASSET SWAP between the Zambia and any of its creditors, China inclusive. My Ministry wishes to clarify that in the first half of 2018, a total of US$341.82 million was paid to various creditors as interest payments as opposed to US$489 million which was falsely reported in the Africa Confidential publication. In terms of the external debt composition by type of creditor, Commercial Debt accounts for 53 percent of the debt while that owed to China is less than 30 percent. Allegations that the Country has been printing more banknotes to increase money supply in the circulation should be dismissed. Contrary to the assertions by Africa Confidential, bank notes are reprinted on well-defined schedules and are done either to replace old notes or to introduce more secure notes to curb counterfeits on the market. We have NO INTENTION to print more banknotes to increase money supply. I also wish to set the record clear on the supplementary budget. The supplementary budget passed by Parliament HAS NO NEW OR ADDITIONAL MONEY. The figures reflected were mere variation of funds from lower priority or slow moving budget lines to higher priority and positively impactful budget activities. Whilst members of the public are free to comment on our economy, it is incumbent upon authors that their articles should be ethical, professional and factual. In instances where information is lacking, my Ministry is ready to provide clarity so that publications are not speculative, thereby, causing unnecessary excitement with negative impacts on business and livelihoods in Zambia. We remain open to provide any extra clarity that stakeholders may wish to raise in this regard. what a fool of a minister. you have not told us what the actual debt numbers are. what are you hiding. US$400 interest payments in 6 months (close to US$1bn a year) for a poor country like ours is a way too much. Well explained and executed by PF government. Let the haters hate. This is a working government and ECL is now in fourth gear preparing for a full throttle! For Sinosure to offer credit guarantee or loan guarantee insurance, they were given some form of collateral, the collateral was not given to the lender but the insurance company. No insurance company in the world can provide such insurance policy without security or collateral. In case Zambia defaults on its loans the insurance Company will pay the Loans and recover such payments by taking over the assets that were provided as security. So Zambia has not given assets as collateral to the lenders but as security to the insurance company Sinosure which is Chinese state owned. The Minister should tell us what security was provided to Sinosure, not this semantical gimmick. LUNGU : Start investing back home. DESPO..: No way, with your corrupt system. LUNGU : I’m desperate please. DESPO..: Nothing for free, go away. She is writing really good. But you know what, people don’t care or even care about this economic chaos. What Margaret is writing is like a woman screaming at a mob stoning a Zambian to death. 341million on interest alone! wow. The implications of that are interesting. so what is the total debt? What is the interest rate? What is the agreed repayment plan? How do you plan to finance it. WHY ON EARTH DID YOU BORROW SO MUCH? Those are the questions we need answers to. You pay a monthly or annual premium on insurance and you do NOT need collateral to be insured. It’s NOT a loan. What Margaret has explained makes 100% sense. However, you should question if its true or false only, and she will be accountable whatever the case because its in black and white. @Solye ubwali. Differentiate personal loans whose insurance only covers payment by any insurance company in case of the death of the debtor but not default and the loan itself is not secured. For a corporate or government debt, there is always collateral or security provided in form of Sovereign Debt Guarantee, meaning in case of default any assets of the state can be forfeited to the lender. Kindly read beyond your basic knowledge of insurance. The type of insurance in the case of Zambia, China debt is credit or loan guarantee insurance and the insurance company always demands security in order to provide that kind of guarantee as a fall back. Let’s not just read but also understand what we lead. Are you sober enough to understand difference? Maybe I missed it, where did she say the Zambian Govt has given Sovereign Guarantee for any loan? Or are you talking about the insurance taken out as guarantees on these (Chinese) loans? Which is a normal practice the world over. For some unknown reason, someone is really intent on rubbishing Zambia’s loan/debt/economic image. Everyone, even doggy publications, wants to be experts or pretend to have inside scoop on what is going on in the Zambian economy. Half baked economic speeches and articles are now in style. But you just have to wonder why and for what purpose. How many times has the Minister of Finance come forward and given us what the true loan/debt picture for Zambia is? Yet we still have people questioning the figures even when they can’t show us where they get their ALTERNATIVE FACTS. I see no reason why Govt should be lying about such an important national/international issue. But if they are, truth will soon catch-up with them and that will be their end. The Western lenders are not impressed. They will come at you with everything they have got! Notice how these reports are emanating from western media and talk shows. It is the new spin à la Donald Trump: repeat a lie sufficiently and the majority clueless accept it as truth. That is also how politics works. Which means this had better be full disclosure or you are all fcuked. Where have you been @Bro35d? Chinese is already being taught in Zambian schools. This essay by the Minister does not give much comfort. This is not time for political rhetoric. We need briefings with more empirical evidence. Spice the essay with figures. Hold regular briefings and press conferences with wide spectrum of reporters. Where is the Secretary to the Treasury? Why is he quiet? Even if there were to be an element of truth in all these allegations, the moment you see comments from upnd tri.be inclined individuals, just know that there is a very big distortion of a small truth. Meaning don’t waste your time debating it, you cannot debate nonsens.e and expect useful results can you? Unless of course you are a member or sympathiser of the directionless trib.al cabal called upnd led by the equally directionless trib.al Hacks. You totally right cadre the tripartite bantustans party wants to ascend to power by any means forgetting that it is difficult to lead a nation with conflicts. And these are the conflicts they are creating in order to be in state house only. When such a negative party is put into power it spend most of the time blaming the previous government like what Mwanawasa did. He concentrated too much on witch hunting and in the process institutionalized nepotism, corruption and supresion of workers and their rights.People analysis his governance style with a sober mind and you will sense in what I saying!! This is what upAndOWN will also do. Hence its behavior through hired mercenaries in the name of African confidential!! Please stop blaming the west and get your act together! DUDU WHISKY, spinning yarn & lies, to protect the Drunken Master, & her own belly. You have already sold Zambia, as you CANNOT REPAY what you took from Ma Chinese! AT last this statement is not from Amos Chanda the pumped up I know it all guy from Chiwempala. If there is nothing to what Africa Confidential is reporting, why is the entire government answering to something that does not exist? There is no smoke without fire, you have been caught pants down and you are trying to save face. The problem with PF is that they are running a government like a mafia organisation. These are public offices and whatever is going on in their must be made public. If debt has been contracted we need to know how much and how the repayments are structured. Trying to counteract whatever is reported is not solving anything. Publish the debt for all to see and stop this rot. Mrs Finance Minister-Has the U.k Governemnt withdrawn its funding of education sector? This is Kaloba not loan $400M interest only. Bola yakosa yayayayayaya!!!! yaya!!!! ni dununa reverse. easy talk……………….. no truth…………. how much is the debt? @Robmwale, they will not say because they do not know the extent. Easier getting blood from a stone, than getting the exact debt amount from the responsible Ministry. Maybe we should ask the Chinese Govt? How many times should the Minister of Finance give the debt figures? The Minister has just to the dunderheads from dundumwezi that she can actually be sued for giving false information to the public. If you believe African Con why not do the honorable thing and sue her for lying? Lies have short legs especially when you peddle them against you own country so that you can get into power to service the same loans.. Interesting ignorance. The Zambian economy is quite big. So they don’t believe we can afford to pay US$400 million in interest. Shocking that there are that many Zambians who are clueless and think US$400 million debt service payments is a big deal. They say ukutosha (arguing for the sake of arguing) is foolish. Those who borrowed, mortgaged their houses, sold their assets and burnt their links believing they will grab power ain’t seen the last of their pain. They will regret and hate till their pitiful deaths. Let the ballots continue to show them total rejection. Like the petishoni, dictatorship, the upnd is trying another strategy doomed to fail to try and dislodge the PF grz. After all this nosie and drama, we shall go to elections and upnd will lose like they always do. Any normal person would ask, why do they do it?? The answer is you have the same characters, with the same strategy and mentality, losing since 2006 (12 years of losing!!) and they think something will change. To a large extent, they are clutching at straws as the sink deeper. @Beyond Reproach and @Zambian citizen, the debt of a country is not a Party issue only but more important it is every citizen’s concern. When the Minister reports that US$341 million has been paid in six months to service interest, she has a responsibility to inform the nation how much of the capital is still outstanding especially to China. The day she gets fired, she joins the Opposition Party and then start spilling the groundnuts – Look at Kambwili. We ask, as Zambians and not UPND, or PF or MMD. If you know the debt, I challenge both of you to tell us in your next postings, otherwise keep quiet. The Chinese will soon have 4 cabinet positions to monitor government decisions since Zambia owes China a substantial amount of money. What about NRDC prime land in Lusaka & Jacaranda school which is already in the public domain. What else have you given that the public doesn’t know about.